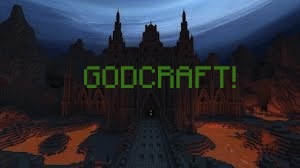 With Godcraft you can be like a God!Make your Ops Gods and give them special powers it's all up to you. This plugin is still in Planning so I am still thinking of Ideas For the Plugin But this Plugin will fit all servers that are Role-Play or a Mythology server than this is the Plugin for you! This Plugin Can do Many things you can Customize the Gods names. You Can Smite People. Make the Water be your weapon by being the water God! This Plugin will Turn ANYBODY into a Immortal God with amazing powers and a Leveling system. This Plugin Will help you fight Mobs defend yourself in a PVP Arena. There will Be Shrines to the Gods so yeah More Commands to come soon!